Complete each academic year after October 1 but before April 1. 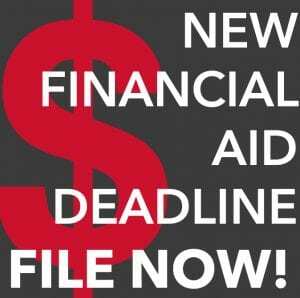 If you have filed your Federal taxes on-line and two weeks have passed, use the IRS Data Retrieval option offered in the FAFSA submission process to download the data elements from your filed tax return to your FAFSA (both student and parent if applicable). This will save time and insure accuracy. Review all information to insure it is correct and make sure Maryville is listed. Be certain to complete the entire submission process until a confirmation is issued. Should you use estimated tax numbers when initially filing the FAFSA, two weeks after filing Federal tax returns, return to the FAFSA under corrections, change Will File to Have Filed and use the IRS Data Retrieval Option to correct the estimated numbers to reported numbers. If you are chosen for verification by the federal processor using the IRS Data Retrieval Option will serve as verification of tax information. In most cases, providing a completed and signed Verification Worksheet will then complete the student’s part in verification. If additional documentation or action is required in the verification process, you will be notified by the University of what is needed and how to submit it. If you do not use the IRS Data Retrieval Process for the 2015-2016 FAFSA application, the only document that can be provided by the student to verify tax data is the IRS Transcript for 2014. A copy of the 2014 Federal 1040 Tax Return is not acceptable documentation. application, the only document that can be provided by the student to verify tax data is the IRS Transcript for 2015. A copy of the 2015 Federal 1040 Tax Return is not acceptable documentation. Call the Student Service Center at 314-529-9360 if you have questions regarding the paperwork needed from you in order for the University to complete the verification process. Until verification is completed, no official offer of financial aid award can be provided. Any change to the data used in determining aid that changes can impact eligibility (e.g. registered credits hours, housing, information reported on the FAFSA, funds appropriated to external funding sources, etc.). Aid will be packaged and made available in your student portal under Financial Aid. You will receive an email when the award is ready to be reviewed, accepted, rejected or adjusted. If revisions occur because of updated or revised data, you will be notified via your e-mail account. All institutional and external scholarships and grants will be listed as “accepted”. No action is required by you to accept these funds. Federal loans and student employment must be either accepted or rejected for each semester by the student. Follow up processing will be sent to explain the steps needed to arrange for these funds to be disbursed after the student accepts them. With the exception of all campus employment programs (College or Institutional Work Study, Telecounseling, Graduate Assistant Stipends, Phonathon), aid may be used to pay balances due the University. To determine what programs are tuition specific, review the details on the financial aid award. Outside scholarships, grants or loans must be reported to the Student Service Center by the student in writing. Student athletes receiving private scholarships must complete additional paperwork required by NCAA regulations before the funds can be added to the award. Check with the SSC or the Athletic Department to determine if this additional paperwork is needed. Summer semester funding will be determined once the student has registered for summer classes. The student will receive an e-mail via the Maryville e-mail account showing that the aid for the academic year has been revised to include summer eligibility. Summer is the end of the academic year so it is added to existing funding. Once again, Federal loans will require the student going to their award letter to accept or reject funding.